Find your iPhone is not a easy task, when the phone is switched off or the battery is died. 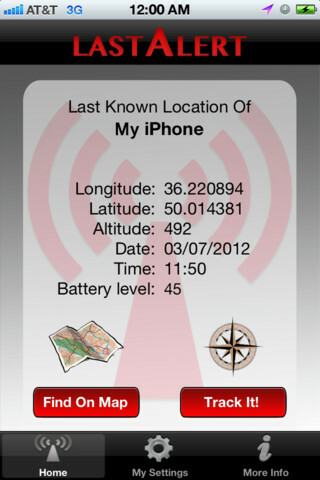 But with the Last Alert iOS app your can track your lost iPhone easily. Yes it’s possible with the app. 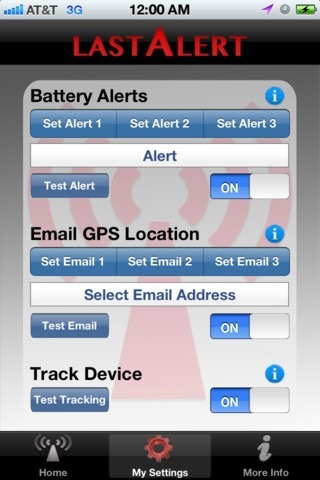 with the help of the Last alert app you can track your phone via email alerts with GPS coordinates, or track it from a second iOS device. It allows you to set three custom alert intervals for when a battery’s device is low. Choose up to 3 email notifications (20%, 10%, 5% etc.,). So next time you can find it easily, even the battery is low or going to down. If the app is installed on your iOS device, you can also see the last location of the iPhone on Google Maps. 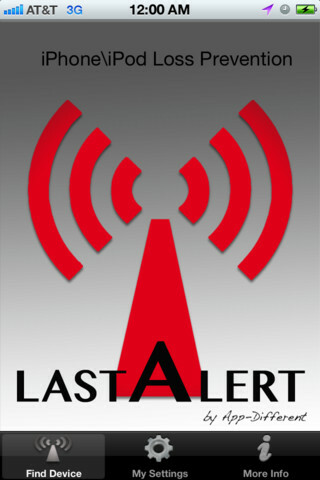 If you have Last Alert installed on a second device, configure the alert messages on the first device to be sent there. All you have to do is install the app on your iPhone and configures the app as per your need. At first time you have to launched the app manually, but then it will run in the background and help you to track the lost iPhone. You can set upto 3 alerts for battery, so next time it will alarm when the iPhone battery is low. So with this feature you will know it’s time to put it back on the charger. If your iPhone is lost or stolen by some one, you can track it easily from the second device with the helps of Last Alert app. Also the app will send you an email with last known GPS coordinates. So you can easily track it. With email alerts you’ll at least know where to find it if it’s not within earshot. We recommend to all our iPhone users, that you have to try this app and always take the full backup of your iOS device, so you can restore the data easily on your device. Here is the complete guide to take the backup of your iOS device. So next time when you misplace your device, it will be on Silent the app will helps you track your device. You cvan the app from the itunes atore at $1.99.